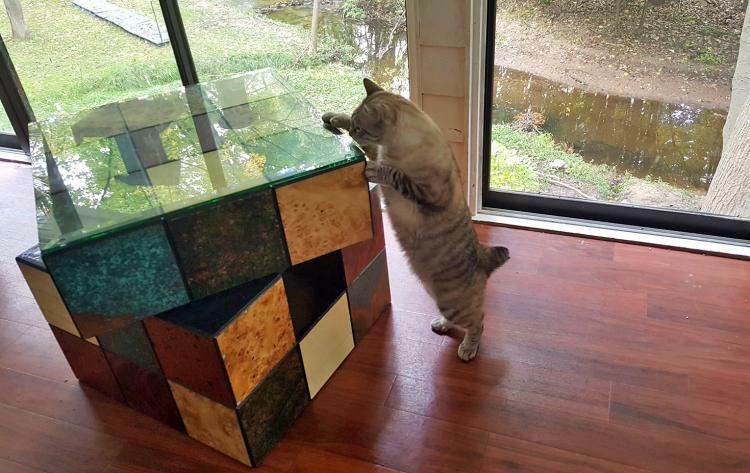 No one said cat toys had to be an eye-sore. 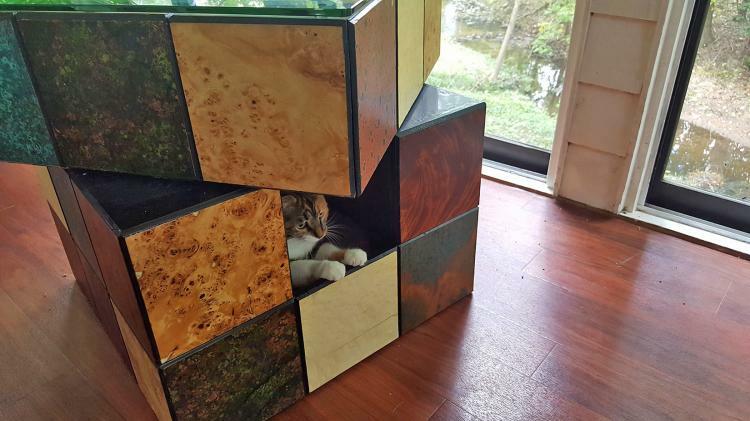 This giant Rubick's cube is made with a cat bed inside of it, so your cat has the fanciest bed in the house. 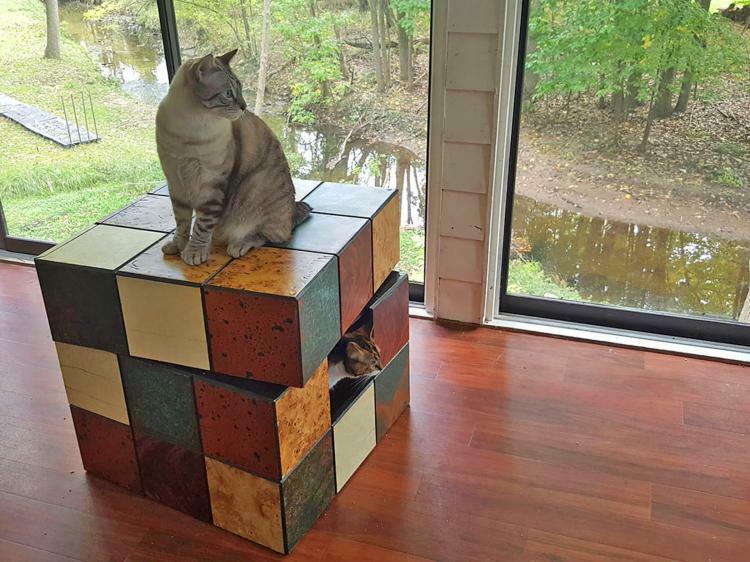 Not only is it a cat bed, but it can also act as a side-table, it has a pull-out drawer on the top squares, plus the entire top spins around like an actual Rubick's cube. 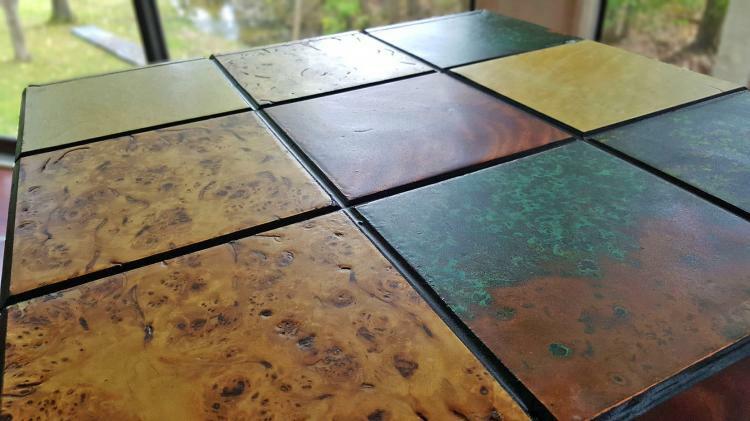 Created and sold by Catastrphic Creations, a company that makes unique cat toys and cat furniture, with others including the Mario Cat Playground, and the Indiana Jones cat bridge. 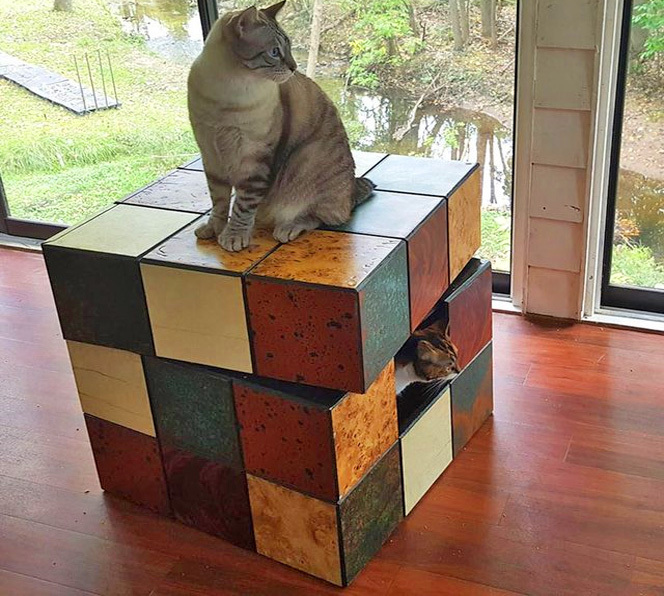 The Rubik's cube table cat bed is made using high-end wood veneer including mahogany and mappa burl, and for the brighter colored squares they used a Patina copper veneer. 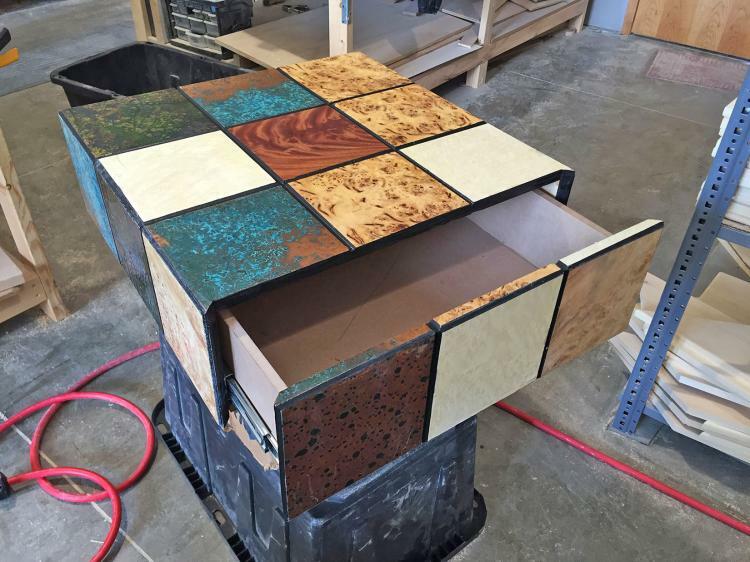 The top drawer is great for storing cat toys or magazines, and since it spins, you'll be able to access it from any direction! A perfect place for a cat that loves the darkness and seclusion, the Rubik's cube contains a cat bed on the inside of it that occupies the bottom 2/3 of the cube. 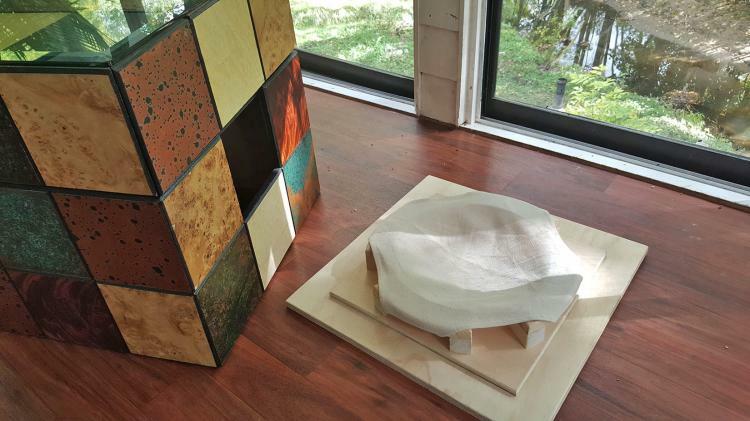 Also depending on which way you point the opening square to the cat bed, it could be a hidden cat bed that just looks like a normal piece of furniture. The spinning top of the Rubik's cube is made using an extremely sturdy lazy-Suzan that's able to withstand up to 1,000 lbs of weight. 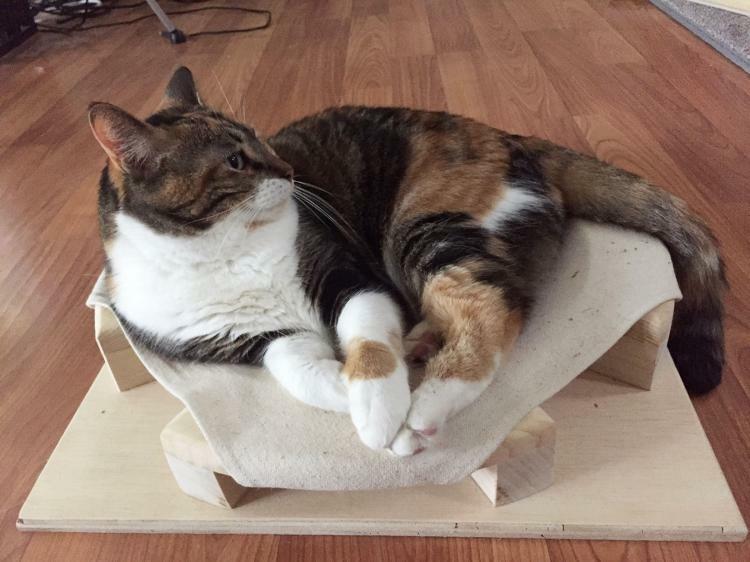 The cat bed inside is made up of three solid wood railings with a removable and washable heavyweight duck canvas. 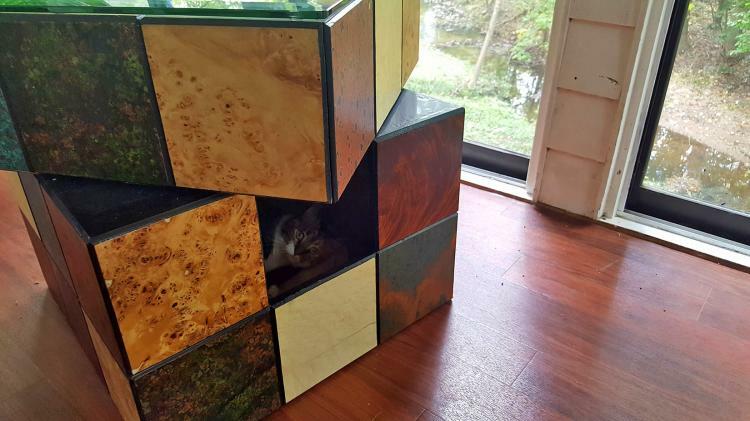 The Rubik's cube cat bed measures 24 inches wide x 24 inches long x 24 inches tall. 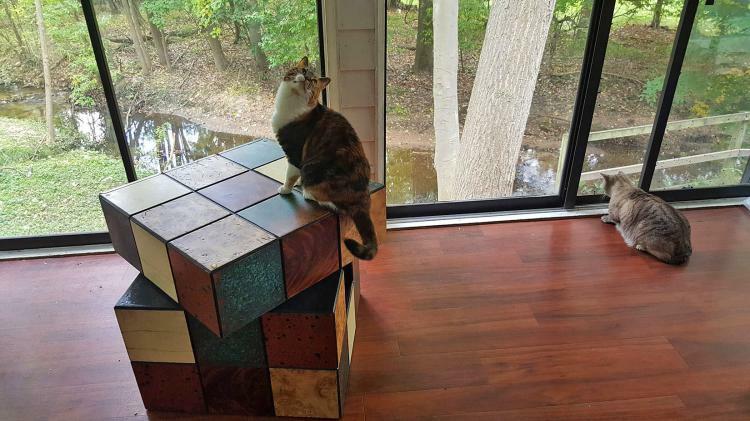 Check out the Rubik's cube cat bed/table in action via the video below.